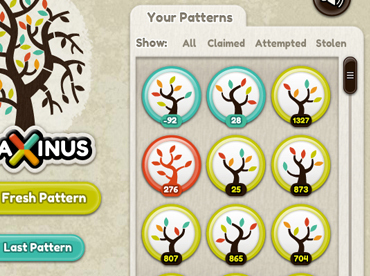 Fraxinus is a Facebook puzzle game of creating and matching patterns. It also just happens to use real genetic data so that your game could potentially help discover the reason some ash trees have a natural resistance to the deadly Chalara fungus currently causing an epidemic of Ash Die Back across Europe. Developed with pioneering research scientists at The Sainsbury Laboratory, Fraxinus was devised to combine fun and addictive gameplay and contribute to the revolution in open source scientific research. Why not just get a computer to find the solution? Believe it or not, our own quirky human brains have a greater capacity for pattern recognition than any algorithm. 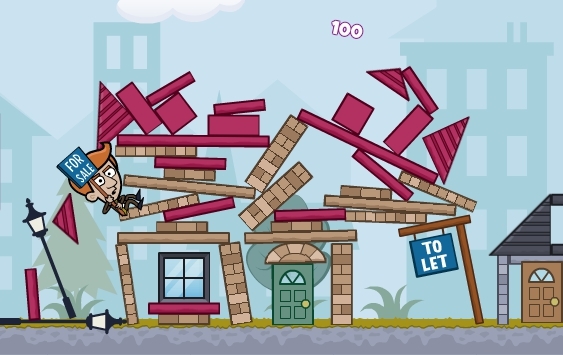 The challenge was to ensure it was fun for the player too. Players create and manoeuvre rows of coloured leaf shapes to achieve the highest score and then add to their own pattern collection. If another player can achieve a higher score then they can claim the pattern for themselves. Building and maintaining your pattern collection not only takes advantage of the social aspects of Facebook to provide a competitive element, but each pattern ‘theft’ only makes the scientific data produced more accurate.